Blogger.com is a very popular service to create a free blogs. 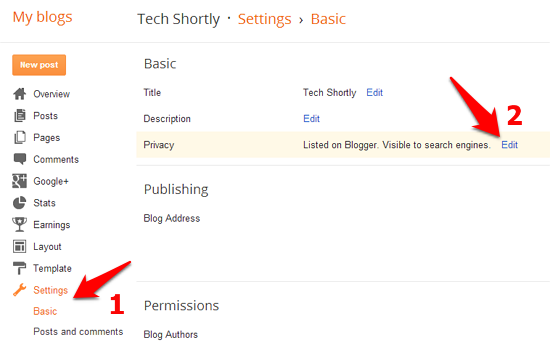 Blogger.com offers enormous features to users. 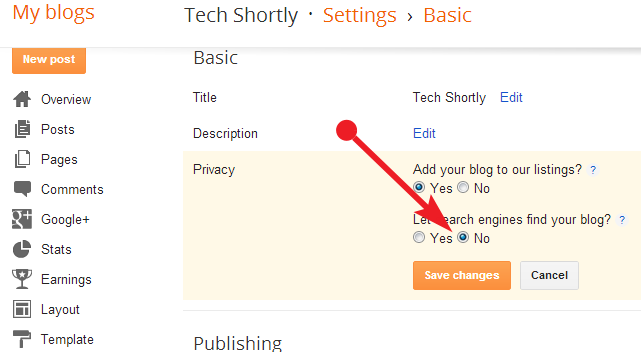 There is a option available on blogger users can hide their blogs from search engine eyes. 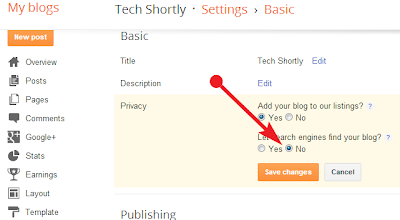 Below the simple tutorial to how to hide your blogs from search engines. That's all you're successfully hide your blog from search engines. Now everyone can still view your blog but search engines will be instructed not to crawl it. But if there are links to your blog from other websites, search engines may still suggest your blog in response to queries.